How to find other quality independent holiday companies on the web! We are based in the Southern French Alps famed for it’s great weather, wild and natural environment and the preservation of it’s alpine culture. People often fall in love with the area and come back year after year. Or they experiment with the different seasons; snowshoeing or ski touring in the winter and mountaineering , mountain biking, or multi activity holidays in the summer. But sometimes we are asked where would be a good place to go next? The criteria required is the same, an undiscovered area, wild and unspoilt and ideally with a small locally based tour operator like ourselves to get that unique insight into the area and a personalized service. The problem is that small independent travel companies are hard to find on the internet as they don’t have the same marketing budget as the big guys! But there is a solution!! There are (thankfully) some innovative people around who have put together websites to group independent travel companies and make them easier for people to find. We use some of these ourselves and you may even have discovered us through one of them. Walkingholidayinfo is a great site for independent walking holidays in Europe. All the tour operators listed on their site are small independent companies offering walking, snowshoeing and mountaineering holidays. 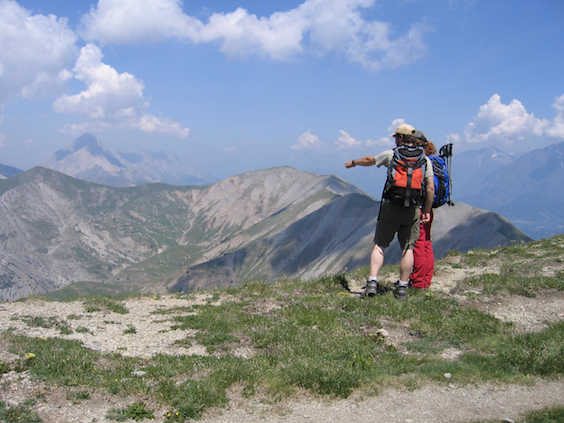 You can find Undiscovered Alps on their page on walking holidays in France. Responsible travel is a site specializing in travel companies who have a responsible travel ethic. Adventure Sports Holidays focus on the more unusual adventure holidays available around the world. Muchbetteradventures are collecting the best local and independent active holiday providers from around the world, whilst giving those with a commitment to sustainability a little extra boost. I’ll add more as I discover them but these are all travel portals that we use and through which clients have found us. If you know of a good site we would love to hear about it. Please comment in the comments section and we’ll add it to the list. Undiscovered Alps has now evolved into Undiscovered Mountains and we will be expanding into new destinations soon so you could find exactly wha you are looking for with us. On that subject if you have a destination you sou like us to research and set up holidays in, please let us know!